Representing real drum and bass at it’s finest, Mantra’s deep and emotive sound in the mix comes from an intense passion for the music. 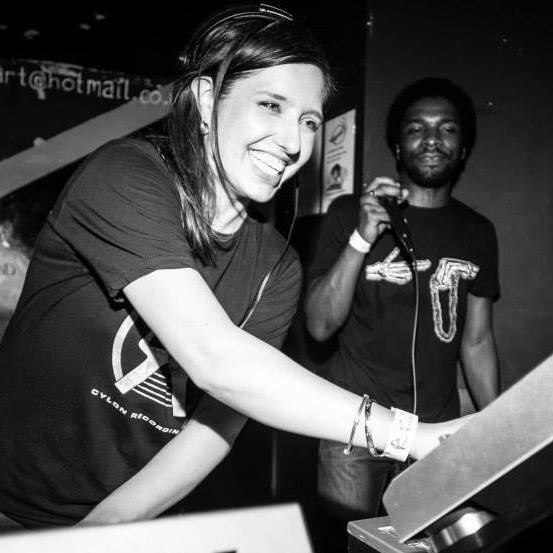 With a selection that’s both inspirational as well as educational, her sets bring the beats into balance and cross the spectrum of dark and uplifting styles. Much more than just a DJ, Mantra has already made an impact across the drum and bass scene and looks set to keep rolling strong. Conscious of the history of the music she loves yet always looking to push things forward, she’s no newcomer and her involvement with drum and bass runs much deeper than just a hobby. Having worked for record distributers SRD as well as promoting her own regular club night, Rupture, she’s learnt from the ground up and built a solid foundation on which she continues to grow. The success of Rupture stands testament to Mantra’s hard work and commitment, and that of her partner Double-O. Borne of a desire to take it back to basics, Rupture has gone from strength to strength with original lineups that combine the best new DJs alongside some of the underground’s leading lights. The night has built up over the past 9 years to form what is now recognized as London’s best underground dnb night. DJ Mantra has played recently in Berlin, Austria, Birmingham and Manchester as well as festivals such as Boomtown and Glastonbury.